Oooooh, how about living in Berkeley, CA? So much to do, so many places to explore. This town is a favorite of ours. It isn’t just because the food is superb, or because the architecture is amazing, but because the culture is so rich and diverse. Comprised of little micro-neighborhoods, Berkeley has so many places to explore! Come downtown and you will find a mixture of yuppies, college students, hippies young and old, and homeless people entertwined in a community of fine dining, avante-garde theater and sheer craziness. Downtown Berkeley has undergone a resurgence in the past decade thanks to the vision of the past mayors and the City Council. Addison Street and Shattuck Avenue is home to the famous Performing Arts District, including three theaters, the Berkeley Rep, the Jazz School, and a Brazilian capoeira club. Have kids? Check out Habitot Children’s Museum or the Berkeley Library for storytime. If you can’t find something to eat, drink or do in Downtown Berkeley, then you are not in Downtown Berkeley. Combine gourmet pasta shops, quality wine stores, and eclectic cafes with delectable dining, high-end shopping, and art galleries featuring local artists, and you have Fourth Street. Fourth Street is considered the most upscale shopping district in all of Berkeley. Located just off of the 80 freeway at University, this bohemian shopping destination draws people from all over the Bay. I particularly love the intimate, small scale setting and enjoy wandering up and down the streets while holding a latte and eating a slice of pizza from Bette’s. Despite the traffic housing prices have shot up, probably due in part to the easy access to not just Fourth Street, but the 80 freeway, Cal, and Amtrak is nearby. Looking for an organic Farmer’s Market? Well thought-out food? A new state of mind? Then come to the Gourmet Ghetto. With a lifestyle inspired by renowned chef Alice Waters, living here forces you to be connected to the earth, through food. Her restaurant, Chez Panisse, is mostly responsible for the birth of the Gourmet Ghetto. In the late 60’s Peet’s Coffee and the Cheeseboard opened, all of which helped to revolutionize the world of food. There isn’t just good eats; this stretch of Shattuck Avenue is also home to local shops where you can find anything from jewlery and art to shoes and books. Housing here is a combination of extraordinary architecture, spectacular views, and multiple offers. The Gourmet Ghetto offers tree-lined streets and has a Mediteranean feel; it is here where you can imagine being in the South of France, so long as you can look past all of the cars fighting for parking. Two small business districts offer a full array of all-things Berkeley: superior restaurants, local and natural groceries, horticultural centers, and plenty of greenway. The Westbrae strip falls on Gilman Avenue and ends at Hopkins; this is a peaceful neighborhood complete with a neighborhood garden, a spacious park, and a favorite, Lalime’s Restaurant. Head East up Hopkins and you will find the Northbrae shopping district. This is a pleasant area to pass the hours and is home to some of the finest groceries around. It is here that you will find fine cuts of meat, fish, and pasteries, and seasonal produce from Monterey Market. You will also find my favorite nursery, Berkeley Horticultural Nursery, or Berkeley Hort. The neighborhood park comes complete with tennis courts, play areas, a track and King Pool. Winding down from the Berkeley Hills you will find a jewel of a neighborhood: Thousand Oaks. I am a little biased about this neighborhood- probably because I work here. This is a town where you want to leave your car at home; sure, parking can be tough, but it is easy to navigate on foot. Many of the residents have lived in this neighborhood for years, even decades. It is a family-centric neighborhood with a combination of old money and new money, old shops and new shops. There is a strong Neighborhood Association that focuses on traffic, noise and schools, and shopping and eating venues are abundant. This area features the absolute best pizza in California, and perhaps the West Coast: Zachary’s Pizza. Just down the street is La Farine, a French bakery with fresh pastries and cookies. Try the flaky morning buns or the chocolate espresso cookie. In fact, come and visit me at my office and I will treat you to one! On the first Sunday after Labor Day, be sure to head to the Solano Avenue Stroll. Along with 100,000 other people, you won’t be disappointed. 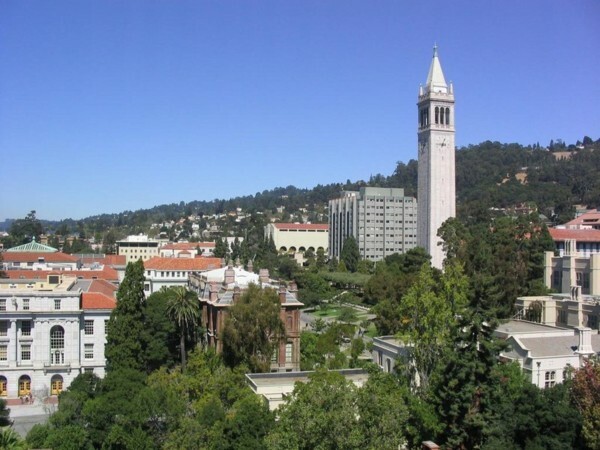 The UC Berkeley Campus bodes a sense of learning and community that draws people from great distances. Decorated with leafy trees, grand buildings, and the infamous campinile, UCB is a college like no other. Only in Berkeley can one have 24hour access to an ever-changing kaleidoscope of cultural and educational richness. Telegraph Avenue combines an intellectual vitality with a fight for protest unlike any other place that exists. Walking up and down the streets you will find a mix of students, teachers, homeless, street vendors and animals who all seem right at home. Tourists wander around in disbelief, believing they have found what the guidebooks have deemed as “Berzerkeley.” Colors and textures and smells waif through the air; street vendors with their tie die shirts, incense and sterling silver jewlery dot the streets. Over the past couple of years Telegraph Avenue has begun to decline: stores that have been a part of the Telegraph Ave. family for decades have left; the homeless population has grown; and empty storefronts are more prevelant. No matter, you can still find the edgy vitality that makes Telegraph Avenue so unique. This historically-rich neighborhood features some of the grandest and most expensive homes in Berkeley. And at the cusp of it all rests the undistinguishable Claremont Resort, who’s splendor can be seen for miles. Claremont Avenue is home to some wonderful shops such as Afikomen Books, Semifreddi’s, and Jutta’s Flowers, a favorite of mine. Just down the street you will find Rick & Ann’s, who make fabulous food and do quite the catering spread. Many of the homes have luxurious gardens which look to be straight out of Landscape Digest, if that were to exist! This area has a high concentration of paths and stairways and many of the residents here welcome those who walk along them.